And with that, Stephen Colbert launched into a sentimental, gratitude-filled, and off-prompter tribute to the man who helmed The Daily Show for 16 years and 17 seasons. 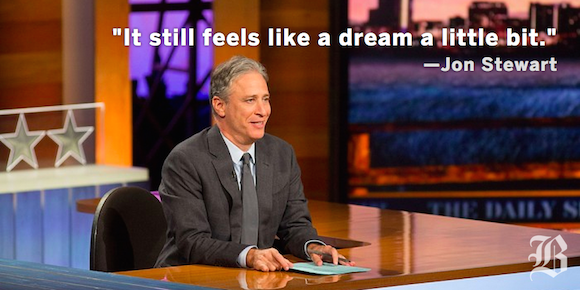 Stewart teared up throughout the speech. 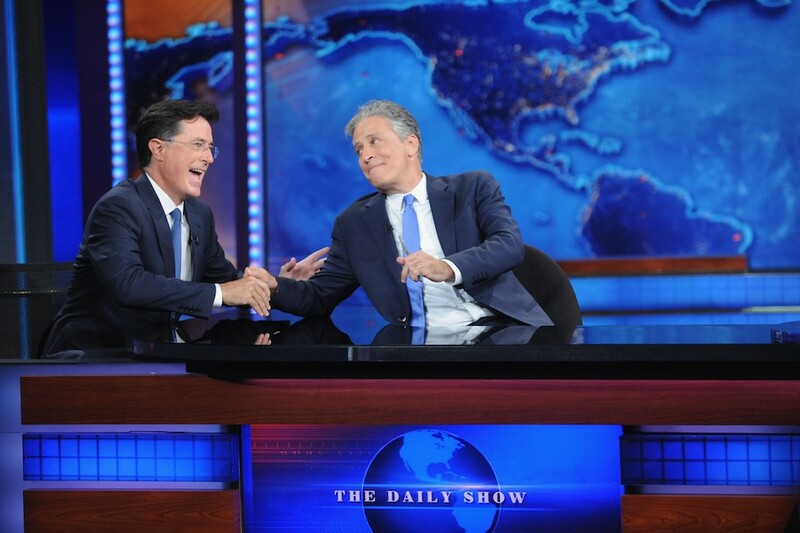 Naturally, Colbert made him laugh simultaneously. The hour-long show also included appearances from other former contributors, a sequence introducing the entire The Daily Show staff, and a montage of hilarious messages from politicians. This article has been updated to include a video of Colbert’s speech.